With an assortment so wide, you might confuse yourself with so many bookcase plans that are each unique in their own way. With these beautiful and modern bookcase plans, you can display your books neatly in your house. The bookcase plan will depend on the size you need and number of books you plan to keep in it. This is a bookcase in the shape of a playhouse. It will provide ample storage for reading material, games, etc. Update your bookcase with a different base and a few moulding changes. What better way to display treasured items than with a beautiful custom made bookcase. These are great plans walking you through how to build a bookcase. This piece of furniture will come in great use in the office or at home. These bookcases become built-in since they have no backs and are attached to the wall. 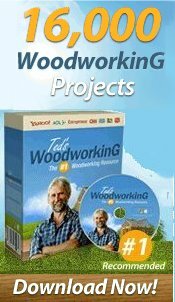 Woodworking bookcase plans to build a bookcase that fits under a window sill. Build a beautiful, sturdy red oak bookshelf for your home. 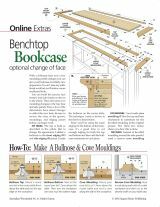 Step by step bookcase plans to build a lovely bookcase in your own workshop. Instructions on how to build a built-in wall unit book and accessories holder. 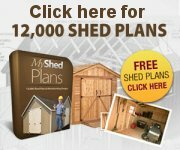 Free plans are nice, but if you want to buy a bookcase plan instead, check out the variety listed below. Individual bookcase plans are available as well as books. You don’t need to be a lawyer to try this plan. This vintage bookcase is sure to give an esteemed facelift to your office space. It makes lot of sense to build your own personalized shelves and cabinets so that you can store heaps of books and other media the way you like.